Every day we welcome another Zellies Fan! Every day someone discovers that Zellies Xylitol products are not only delicious, but amazing for oral health. Most people are very surprised at xylitol’s great taste and amazed to learn about its long history and how it is found in familiar fruits and vegetables, the wood of birch trees, and even the human body. The oldest record of this “sugar for oral health” seems to have been about 2500 years ago, in a book of Chinese herbal cures. The remedy is “Zhin-he–tong” (“sugar from the white tree”) for cavities and gum disease. The Chinese have known about xylitol for a long time, so it should be little surprise that Wal-Mart in Beijing has drums full of xylitol gum at every checkout! 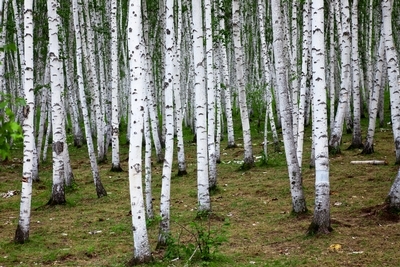 In North American, where birch trees grow, Native Americans cleaned their teeth with wood from these trees. They made teething rattles for babies and used the wood as a toothpick for teeth and gums. In Russia and Alaska the sap from birch trees is swished around erupting teeth, and grocery stores stock birch sugar for baking and regular use. Medical professionals used xylitol as a diabetic-safe sugar over a hundred years ago in medicines and to balance blood glucose during surgery. With the advent of artificial sweeteners and less expensive products, xylitol was almost forgotten. It was re-discovered during World War II when table sugar was scarce in Europe. Xylitol was used once again and, this time, its health benefits were observed and recorded. Children eating xylitol had almost 50% less ear infections and xylitol appeared to make cavities vanish. Many studies support these findings, and in 2001 an Evidence Based Review of the most important ones was carried out by the National Institute of Health. This review confirmed that xylitol could eliminate 98% of plaque in the mouth, whereas only 40% of plaque can be removed with brushing and flossing. You can read this review HERE. Scandinavian and Asian TV has advertised xylitol for decades, and xylitol has been a public health treasure for years, handed out in pre-school in Finland. We stumbled across some xylitol advertisements that are quite amusing — check them out HERE. Our hope is that the history and benefits of xylitol becomes more widely known and that xylitol becomes a part of a preventative oral care routine in the US. We will look forward to the day when commercials in the US are advertising the amazing benefits of xylitol! Previous Post Dental Sealants for Kids Next Post Q&A with Dr. Ellie: Should I Get a Sealant?